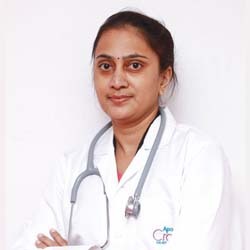 Dr . Jyoti Rajesh having 20 years of rich experience deals with routine Obstetrics & Gynecology and high risk pregnancies. Dr. Jyothi and her team had offered me the best I wanted. I will always be thankful for the whole Apollo Cradle team for making me feel delighted. One of the best hospital for experiencing the happiness of birthing. I consulted Dr Jyothi Rajesh for my delivery at the Koramangala clinic as referred by a relative. The PRO explained us the packages and without any waiting time, I got admitted in the deluxe single room. I am very satisfied with the doctors, who are highly qualified and the nurses, who make you feel at ease. The rooms are equipped with AC, TV and have clean washrooms. I would surely recommend it to my friends and family. The stay was perfectly fine. The sisters on post –pregnancy observation room were very helpful.